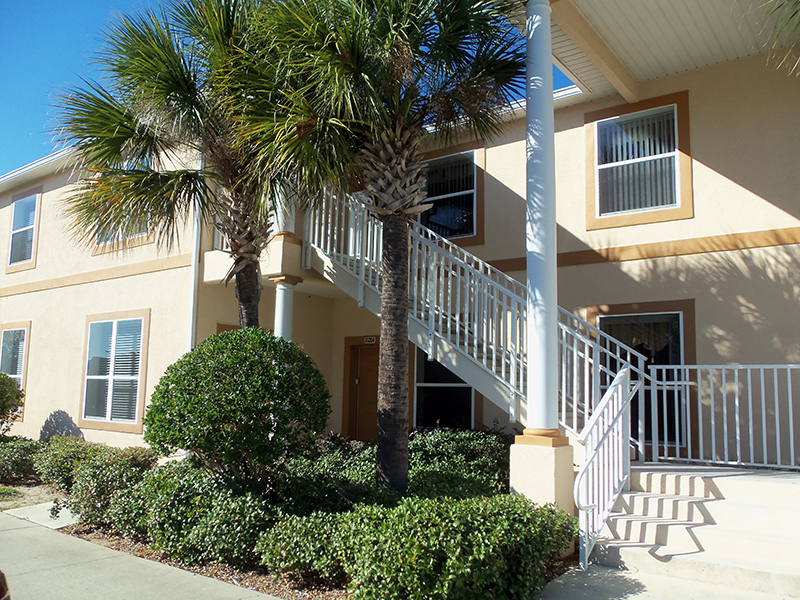 This beautifully furnished 4 bedroom, 3-bath condo, sleeps up to 9 people plus an infant. 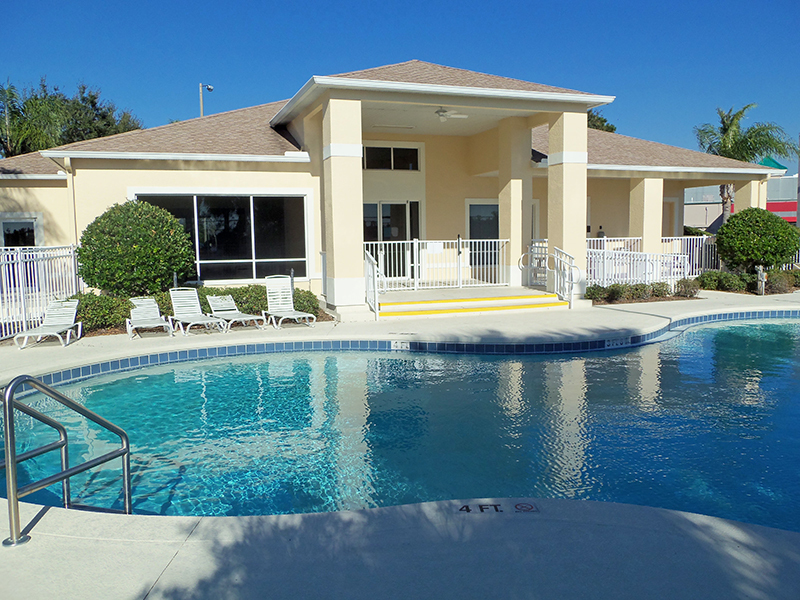 It overlooks the pool, hot tub, clubhouse, tennis court and lake. It is just the place to stay when you are on vacation in the Disney area. It's a beautiful accommodation in a relaxing atmosphere with all the comforts of home.... The master bedroom has a king bed and a full private bath with a soothing Jacuzzi tub. The 2nd bedroom has a king size bed, the 3rd bedroom has 2 twin beds & the 4th bedroom has 2 twin beds as well. There is one roll away bed in the family room. 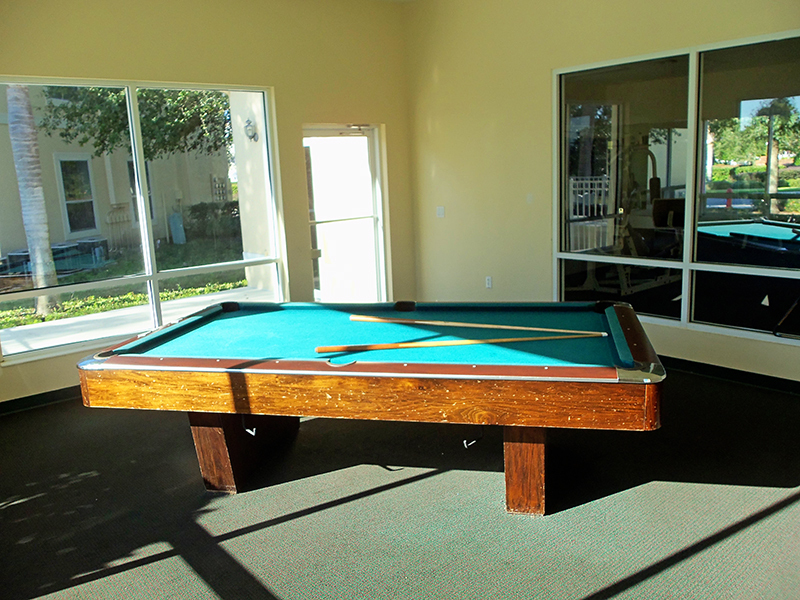 This unit features 6 cable TV’s (37” LCD HD Flat Screen TV in living room), DVD, stereo, magnetic dart board, and a 3-in-1 game table in the family room that converts from a table to eat on, turn the top over to play cards or take the top off and enjoy a game of bumper pool. In the clubhouse, you will find a nicely equipped work-out center. There is a refreshing nice size free form pool and hot tub to relax in when you come home from those tiring days at the theme parks. This resort is adjacent to an outdoor mall featuring miniture golf, a variety of stores including a grocery store, liquor store, souvenior shops and many fine restaurants such as Carrabbas, Outback Steak House, Cracker Barrel, Red Lobster and TGI Fridays, just to name a few. 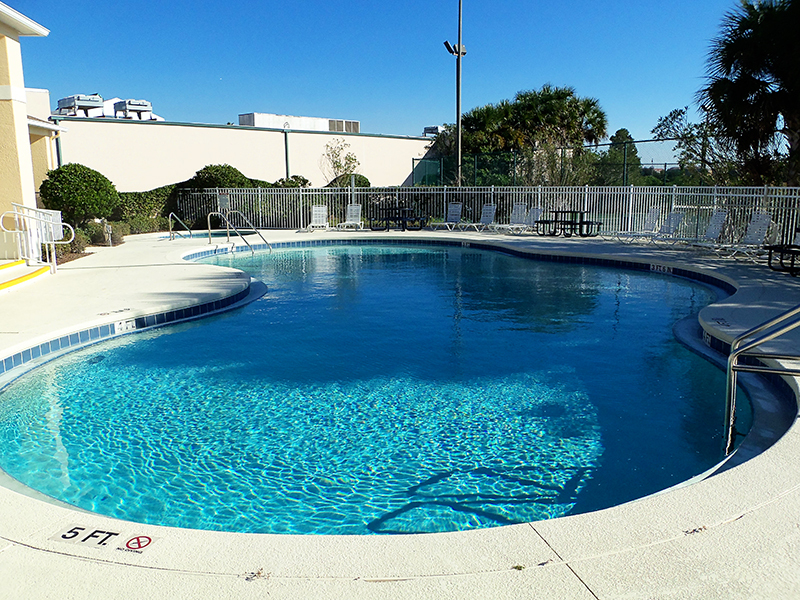 This is truly a Great Place to Stay and very close to all of the Disney World Theme Parks and attractions.